Practice makes perfect. 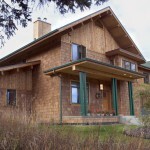 The owners hired L64 a second time to design a woodsy craftsman style house downtown. This house has a full basement and a separate entry for a professional office. 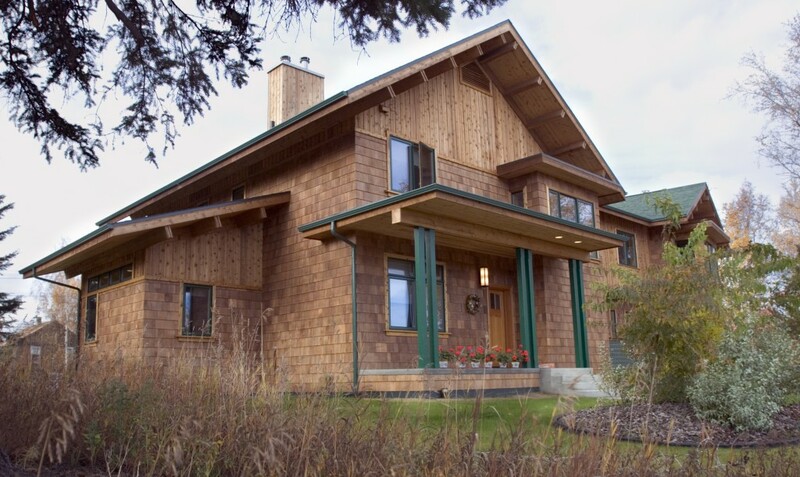 Cedar shingles, tongue and groove siding and tile articulate the exterior. Large eaves with timbers protect the scaled to the house size. Interiors with coffered ceilings were decorated with Alaskana artifacts.